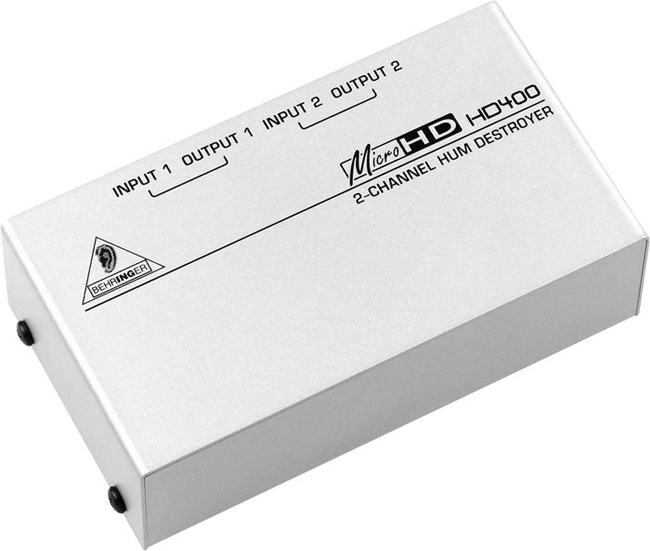 This ultra-compact 2-channel hum destroyer may be small in size, but there is nothing lacking in its performance. This super-compact solution removes AC hum and noise quickly, easily and reliably. Ground loops are safely broken while the highest sonic quality is maintained. Plus, the HD400 automatically converts unbalanced signals into balanced without any signal loss. The unit carries two 1/4" TRS inputs and outputs for 2 mono or 1 stereo signal. If maintaining a small visual profile without any compromises on the quality is of the essence, then we got your gear!